Sometimes you capture the most memorable moments at the party, and sometimes you look back and wonder what the heck was so hilarious about your best friend’s T-Rex impressions. But have you ever gone to a soiree that actually revolved around the photos? If you want to throw a party you and your friends will remember for years to come, consider a themed event that channels their creativity. What it is: A chance for you and your friends to try the best wines of your region, critique them and record them in a journal you can reference later when you’re trying to remember the name of that delightfully refreshing pinot noir. What you need: A variety of white, red, sweet and dry wines to tantalise every taste bud, fruits and chocolates and an assortment of cheeses and crackers to cleanse the palette. Each guest will need a small, personalised journal to record the flavors, aromas, origins and ages of the wines he or she tries. Pass around a small instant camera like the instax mini 90 with macro mode to capture the labels while you keep the wine flowing. Get started: Keep the invitations simple, but make them stand out. A corkscrew keychain with the date stamped or written on it and a short note attached is a good way to make sure your party doesn’t get lost among your friends’ Facebook invitations. Ask your friends with last names starting with A-K to bring a bottle of red, and L-Z to bring a bottle of white. If you’re throwing a surprise birthday or bachelorette party, they should bring two identical bottles — one to taste, and one for the guest of honor. What it is: A way to get creative (and get silly) with props. What you need: Tons of unique costumes, items and a basic backdrop. Ask your friends to bring costumes that fit into your theme, whether it’s literary heroes, pop stars or classic films. Have them round up the five most unique items they can find in their closets or attics. Cue the music, then take turns striking poses and snapping photos instantly. The new Instax SHARE SP-1 printer is easy to use and great for group shots and at all social occasions. Simply print your smartphone images as fun and cool Instax prints, by simply downloading Fujifilm’s instax SHARE free app.Use paper ballots to vote for the most original, funniest and most adorable, awarding prizes to the winners. Give each guest an inexpensive album or collage-style frame so they can take home their creations. Get started: Create postcards with snapshots, and send them via mobile phone or snail mail. What it is: A dinner party with murder on the menu that will keep your friends guessing all night. What you need: A killer storyline, to start. Get some inspiration from websites such as Whodunnitdinners.co.uk or Host-Party.com, which offer scripts you can purchase for a fee. If you’re feeling creative (or just want to save money), find an obscure mystery novel you’re confident your friends haven’t read at a thrift shop or used bookstore and use it to write your own script. 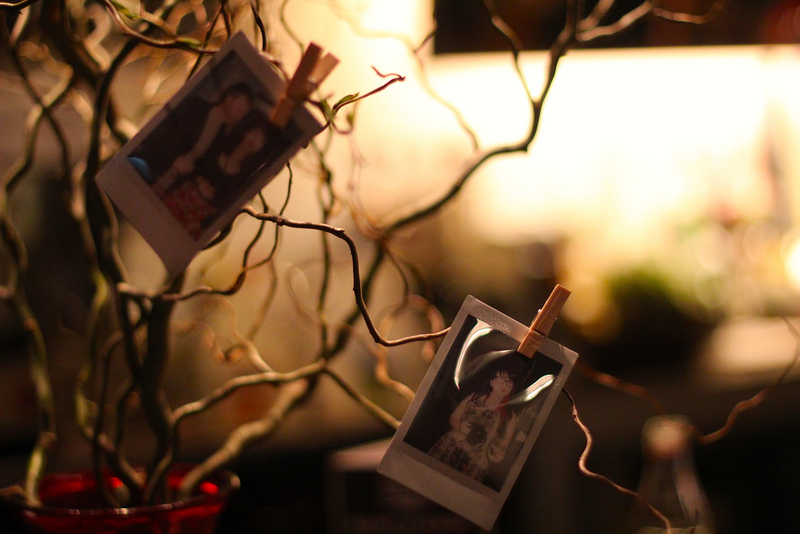 Use instant photos to create clues you’ll reveal throughout the evening. Get started: Make your invitation fit your theme so your guests will come dressed for the part. Photograph a piece of one of your first clues (possibly the handle of the murder weapon) to keep them guessing! If you’re hanging with co-workers or meeting neighbors for the first time, nothing breaks the silence like the snapping of a shutter. Long after the drinks are gone and the music has faded, your memories will be captured in high-definition. Better yet, they’ll make spectacular souvenirs. To find the perfect instant camera and get more great ideas, click here.